This article discusses the meltdown that happened after Larry Brown was fired as coach of the Charlotte Bobcats. He blames Michael Jordan for surrounding himself with yes-men (which, of course, Jordan denies). Read on to see my take! “It’s absolutely wrong that I don’t want guys to challenge me. 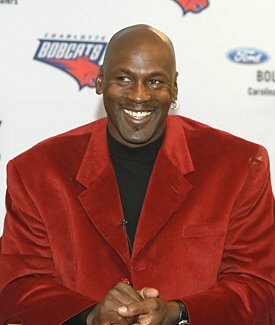 And the people who say that aren’t in the room,” Jordan told the Charlotte Observer. MJ is affirming a necessary condition, which tells us absolutely nothing about the sufficient condition. Or, put in plain english, just because you are capable of and willing to say no to Michael Jordan doesn’t mean you will actually do it. The question Michael Jordan asks himself shouldn’t be whether people are capable or willing to say no to him – rather, it should be whether they’ve ever ACTUALLY stood up to him on anything important. Was everyone on board when they got nothing back for Raymond Felton or Tyson Chandler? How about when they got rid of Gerald Wallace? And when they picked up notorious offensive black hole Corey Maggette? Perhaps when they drafted Adam Morrison? Being capable of and willing to say no means squat if you won’t actually do it on any occasion that matters. 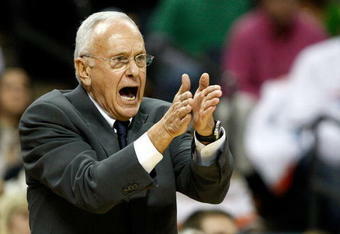 It is still entirely possible that Larry Brown is completely full of it. After all, like Michael said, Larry Brown wasn’t “in the room” (why you wouldn’t at least loop your head coach into basketball decisions, I have no idea). But even if that’s true, sometimes it takes an outside perspective for you to see what’s obvious to everyone else. And, more to the point, if your staff of people makes decisions like Charlotte’s does, whether or not they are capable of, willing to, or will actually challenge you is actually completely irrelevant; no amount of challenging will redeem the kind of decisions that have been made in Charlotte recently.